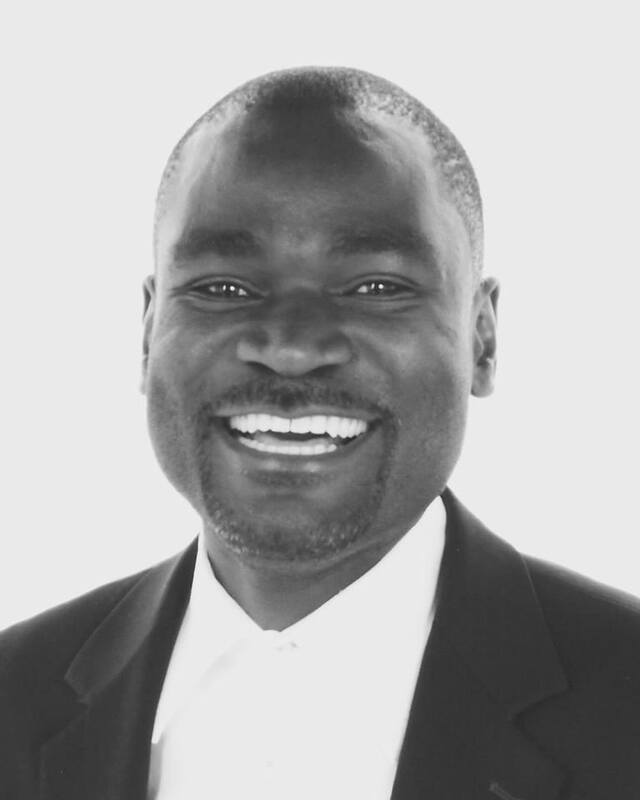 Damaging Zambia: Why parliamentary floor-crossing dents our democracy | Elias Munshya, LL.M, MBA, M.DIV. By Elias Munshya, LLM, M.Div., M.A., LLB, B.A. 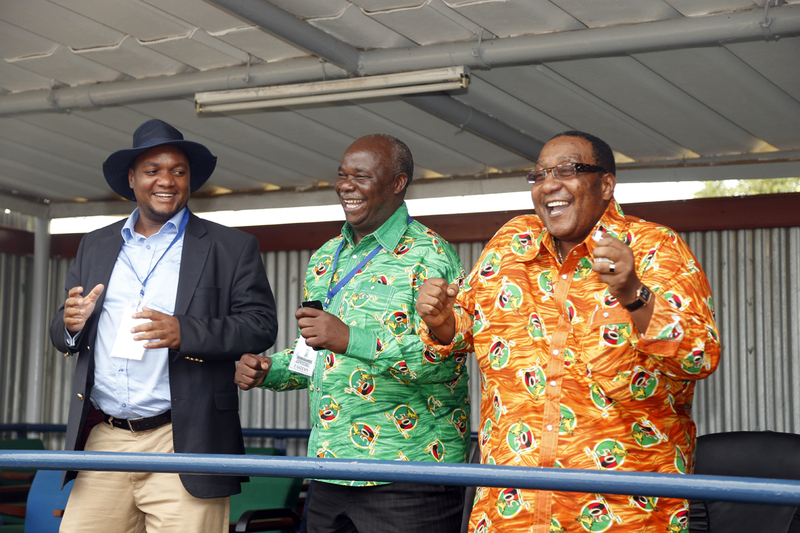 Multi-party participatory democracy is deeply weaved in the very fabric of Zambian democracy. It should be an offence under the penalty of treason to undermine our democratic foundations fortified by the concrete beams of multipartyism. Zambians fought Kenneth Kaunda’s one-party participatory democracy because we knew the benefit that lay in having parties freely compete for support in the market place of democracy. Weak and sometimes inefficient as they are, political parties provide a primary platform to debate ideas and policies that strengthen our nation. In our constitution, presidential candidates must be members or should be sponsored by a political party. In parliament, our constitution recognizes the role that political parties play by crafting our democratic instructions in terms of the ruling party, the opposition party and other political parties. Parties are important for several reasons. First, they provide a platform to test political ideas and persuasions. Second, parties provide a platform to assess leaders, at least in theory. Third, parties provide checks and balances. If political leaders go against party policy, the party that sponsored them can always attempt to bring them into line. Fourth, political parties provide the restraint desirable in political players. Left on their own, MPs can grow brains and get into serious mischief. Fifth, political parties are smaller models of what national governance should look like. We should be able to look at how someone runs their political party to judge how effective or ineffective their leadership could be. Sixth, and most importantly, political parties provide a stage for political organisation, civic association and electoral mobilization. Our constitution protects our multi-party system by putting in place mechanisms by which the party political system must be respected. A member of parliament, who resigns from the party that sponsored her to parliament, must relinquish her parliamentary seat (Article 71). This is a reasonable system to ensure that political parties have a voice in the governance of the nation. Additionally, if an MP is not conforming to party policy, the party has the right to suspend or expel that MP. Party leaders should have the power to intervene, suspend and expel their erring MPs. That is the nature of our system. The idea that MPs who go to parliament should be beyond the reach of party discipline is repugnant to me and certainly distasteful to our democratic system. Multi-partyism is the system we have chosen for our selves and we had better make good use of it. I know some people who hate political parties. Well, here is some news to such characters; the Zambian system is a party political system. We do partisan politics. We are a partisan nation. And that is well within the nature of our democracy. It is in this vein that we must interpret the recent remarks by Geoffrey Bwalya Mwamba (GBM). On Wednesday 22 July 2015, GBM got appointed to the position of Vice-President of the United Party for National Development (UPND). However, he refused to step down as the Patriotic Front (PF) Kasama Member of Parliament (MP). Essentially, GBM wants to do a double tobela. He wants to be a Vice-President of the UPND while at the same time serving as a member of parliament for a different political party. 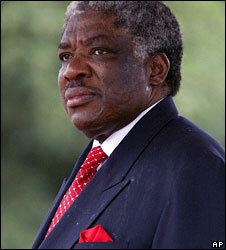 The Zambian constitution forbids what GBM claims he is doing. By joining the UPND, he has lost the parliamentary seat, which he acquired as a member of the Patriotic Front. 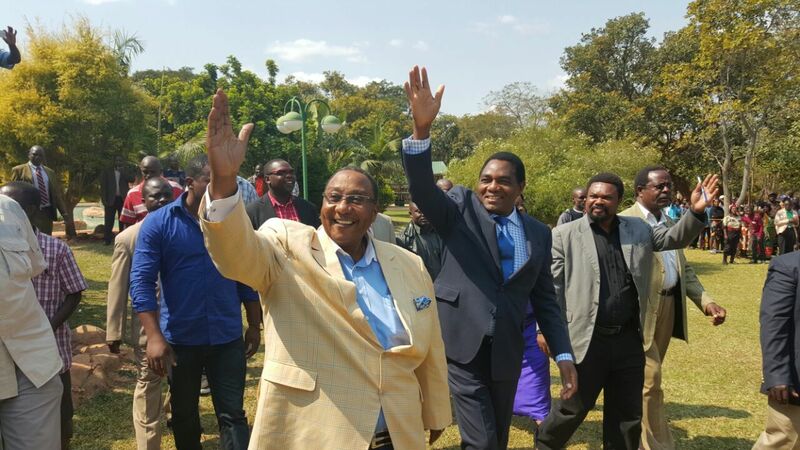 Both UPND president Hakainde Hichilema and GBM know that they cannot hold on to a PF seat. I think though, that their words are some kind of a protest at the way President Lungu and his predecessors have wantonly ignored the sacredness of our party political system. Beginning with Levy Mwanawasa, presidents have unashamedly poached opposition MPs by appointing them to cabinet and then using them for partisan interests of the ruling party. In the case of Edgar Lungu, he has poached several UPND MPs, and in spite of legitimate protests from the UPND leadership and membership, Lungu has not relented in using these UPND MPs for Patriotic Front partisan business. Perhaps the most bizarre of these machinations was when Movement for Multiparty Democracy (MMD) MP Vincent Mwale served as campaign manager for a PF parliamentary candidate in the recent by-elections in which the MMD, which sent him to parliament, was supposed to participate. The idea that Vincent Mwale is beyond the reach of his principal Nevers Mumba is an affront to democracy. Equally, the idea that Greyford Monde should be beyond the reach of UPND discipline when it is the UPND that sponsored him to parliament is ridiculous. In fact, it is as ridiculous as GBM defiantly grandstanding that he has a right to be a PF MP when he has clearly joined the UPND. Apparently, President Levy Mwanawasa started this deplorable practice. According to Levy, since the constitution says the President can appoint a cabinet from parliament, the president could appoint to parliament any MP she wants. Levy was both right and wrong. He was right that a president could appoint any MP, but Levy was wrong to preach that the president could ignore opposition political party leaders by poaching MPs without sanction of the sponsoring party. The constitution should never be interpreted in ways that undermine multipartyism and pluralism. A president who wants to work with opposition MPs should first get permission from the particular party. Under this arrangement, both the president’s party and the concerned opposition party will then have some kind of an alliance (or coalition) to rule together. Brazenly poaching MPs from parties does not advance our democratic ideals it undermines it. President Lungu should forthwith reconsider his appointment of opposition MPs and have these MPs amenable to the discipline of their political parties. Lungu cannot justify his actions simply because Levy did it. “Levy did it”, is not justification enough to break, damage, and then undermine a fundamental character of our democratic system. If Lungu really likes Levy, he should copy the good things Levy did and not copy Levy’s bad manners. Levy helped Zambia reduce kaloba, he invested wisely in infrastructure, the kwacha was under control and he fought corruption. Those are the good things to copy. For now, I am almost certain that there will be a by-election in Kasama. GBM cannot sustain the claim to a PF seat. As the by-election approaches, I am sure the UPND will make huge gains. GBM’s move to the UPND is certainly a game changer. God bless our partisan republic. Mr Munshya, its just shows how weak our laws are in Zambia. Our laws has not taken care of all aspects of our lives hence some lawyers taking advantages of flaws in our laws. No wonder you find that each party or president that take over the government are not willing to change the laws. I think GBM’s comparison of opposition MMD and UPND MPs who have been appointed to the PF Government is wrong. Granted they are working with a party other than that which sponsored them to Parliament, but they have not been appointed to the PF party structure, rather to the Government of the Republic of Zambia. PF only happens to be the current party in Government. On the other hand GBM has been appointed to the UPND structure, hence the difference. He has de-facto resigned from PF, the party that sponsored him to Parliament. As Levy, rightly or wrongly asserted, the President may appoint any member of Parliament to Government, indeed he can and does appoint even from outside the elected members of Parliament by nominating members of Parliament whom he subsequently appoints as ministers. Arguably those nominated MPs count as part of the members from the President’s own party. However by going further and appointing members from opposition parties I think the essence of real multi-party democracy is slightly diluted. It is as though the President were in a coalition or minority government and required numbers from across the floor to command a majority in Parliament. If that were the case then proper coalition or alliance negotiations and arrangements should be openly made with partner parties. To use MPs from opposition parties without such arrangements in place seems to defeat the essence of multi-party politics, we may as well be back to the Kaundan One Party Participatory Democracy where all the MPs were equally available to be appointed to Government. The other point of appointing MPs from the opposition into Government is that it effectively gives a vote of no confidence in the President’s own party’s MPs. He is essentially stating that those MPs from his own party who are backbenchers are not good enough to be Government ministers. The idea of MPs from one party supporting and campaigning for other parties also just shows how weak our political party systems are. To disagree with some concepts and election manifesto statements in one’s own party is one thing. To feel so aggrieved as to go and back and support a candidate from another party implies one has all but resigned from their own party. If the parties were morally and structurally strong they would expel all members who support candidates from competitor parties. The fact that none of the those members have been expelled from their parties simply shows how weak and scared those parties are, scared of losing the seats in Parliament, scared of losing the sections of the party commanded by the erring members or scared of facing the ensuing court appeals which would inevitably follow the expulsions. GBM’s timing is also deliberate and cheeky. Next year’s General Elections cannot be much more than about 12 months from now. He is waiting for PF to legally expel him from the party, the Speaker and courts declare that his seat is vacant. Then he will appeal through the courts arguing that his expulsion from the party and declaration of his parliamentary seat are vacant are not valid. That will take time to drag through the courts before he finally loses the appeal and only then will ECZ determine the date for by-elections. From the experience in other constituencies where legal processes have been used to determine vacancy of seats it is very unlikely that this process will take less than 12 months, at which time the whole issue will be overtaken by events as the 2016 General Elections will have been called. Well informed article. I have learnt a lot of things that I thought were normal but which are actually brining confusion in the politics of our country! Surely, GBM, could not reasonably be clinging to remaining a PF MP for Kasama if he had chosen to support UNDP and being appointed Vice President of UNDP. But because there is a ‘precedency’ that a Person can serve as Minister in the ruling government, having been poached from another party, and sill remains an MP for the opposition party! I think even the courts may find it hard to rule on such matters because people like GBM will have a lot of examples to point to when he is accused of disobedience of not relinquishin his Kasama MP back to PF as stated under art. 71 of the Laws of Zambia. I concour that the practice of appointing opposition MPS to Ministerial posts should stop forth with! This is actually defeating the purpose of opposition parties. The opposition parties have an important role to play in the running of our country. The fact that they oppose the ruling government passing certain laws in the parliament makes it important for them to understand and accept that they are there for a very important reason other than being a minister. These opposition MPs should even take it upon themselves to resist being appointed ministers because the appointment defeats the reasons why they chose to be in the opposition and the policies they stand for! Having a strong opposition in parliament is good for our country! Like my learned friend Elias Munshya stated in an earlier article that we do not want to go back to the Kaunda days of ‘Wa muyaya’. It would be wise for in-coming Presidents of Zambia, only to appoint Ministers from their political parties other than create confusion by ‘poaching’ MPs from opposition parties and appoint them to Ministerial posts. It is a wrong practice which is bringing confusion in our country politics.